-1-3 Peaches* (or apricots, nectarines) peeled, chopped. Can use fresh or frozen fruit up to 2 cups. 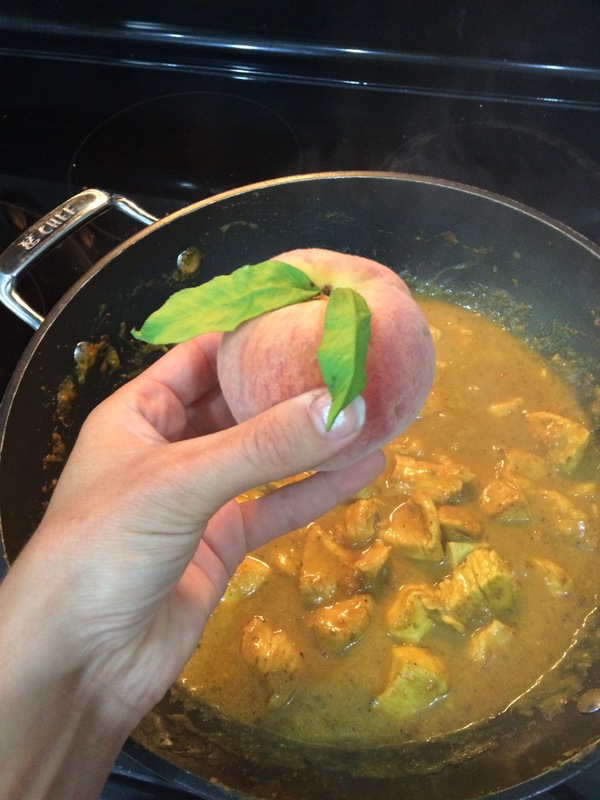 *If none on hand, use peach jam or chutney. Brown chicken with oil in frying pan or wok. Add spices and water and cook for 5 minutes. Reduce heat to simmer. Add veggies if desired. Add yogurt / coconut milk (vegan option) and blend well. Remove from heat. Serve warm over cooked rice/ quinoa or with roti / pitas.